The HTC U11 EYEs, also known as HTC Harmony, is supposed to be revealed next week. We reported earlier this month that a mid-range smartphone with that might go official very soon. 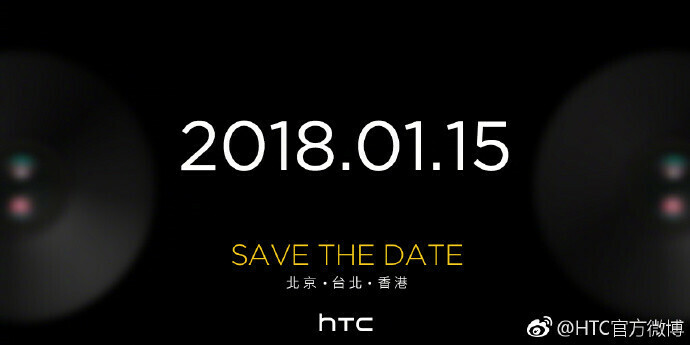 Well, it looks like the Chinese media has already received invitations to an HTC event, which mention the word “Eye.” The announcement is scheduled for January 15, while rumors claim the HTC U11 EYEs will go on sale in three Asian countries – China, Hong Kong, and Taiwan, on January 17. Specs-wise, HTC U11 EYEs is a mid-range device equipped with a Qualcomm Snapdragon 652 processor, 4GB RAM, and 64GB expandable storage. Also, the phone comes with a larger 5.99-inch display with 18:9 aspect ratio and a larger 3,930 mAh battery. Little is known about the single camera on the back, but the phone will feature dual-LED flash and fingerprint sensor. A second HTC U11 EYEs model is expected to be introduced at the event, which will pack a Qualcomm Snapdragon 660 processor, but both versions will run Android Nougat out of the box. 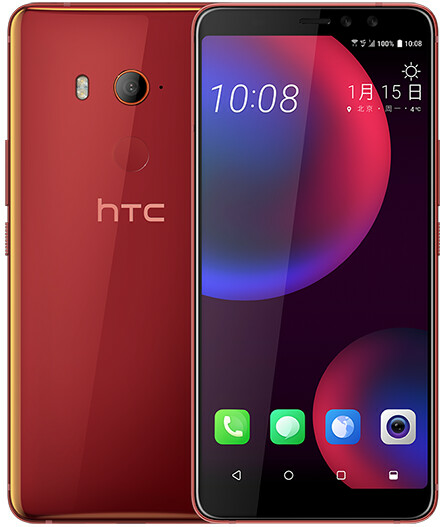 The U11 EYEs is said to cost around $400 in Hong Kong and it's yet unclear if HTC will make it available in other regions later on. Interesting to say the least but again, are they even gonna sell this phone globally or is just available through pictures in FB and Instagram? Oh wow, 6xx series and a huge battery plus 18:9 screen ratio around $400 ? Time to save some cash. Snapdragon 652 is an outdated SOC,they should use at least Snapdragon 660,it has better performance and less power-consuming. They should wait for 640 instead of a much older 652. HTC just doesn't give up given they situation. Like a warriors fight till the last breath.